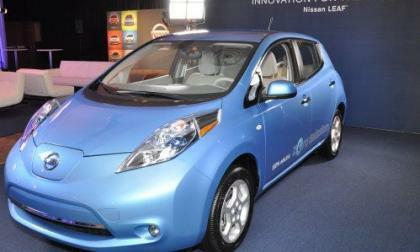 Last week we brought you the news of Nissan’s investigation over no-start reports with their popular new Leaf electric vehicle and today, Nissan has issued a service campaign bulletin announcing that the vehicles are being called back to dealerships around the world to address a software problem that seems to be causing the no-start issue. 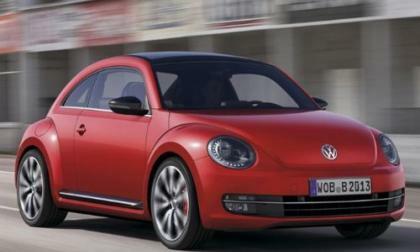 Yesterday, the 2012 Volkswagen Beetle was unveiled leading into the Shanghai and New York auto shows and shortly after, the news broke that the high performance Beetle R will hit US shores. There's a phrase that's often heard among environmental activists and that's "going off the grid." 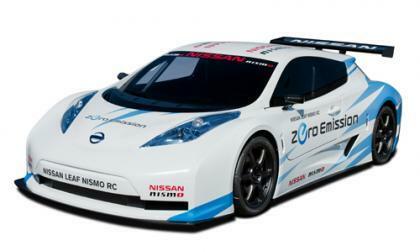 Nissan, however, wants to turn that phrase on its head by putting an all-electric battery-powered Nissan Leaf race car, the Nissan Leaf NISMO RC, on the starting grid of a race track. 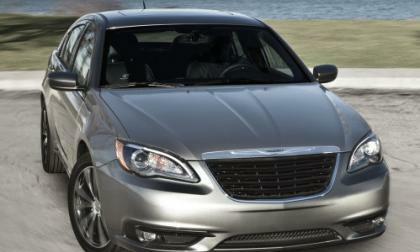 The 2011 Chrysler 200 sedan and convertible hope to erase the demons of the vehicle previously known as the Chrysler Sebring and to help with that effort, Chrysler has rolled out the sporty new S package for the new Chrysler 200 sedan and convertible at the 2011 New York International Auto Show. 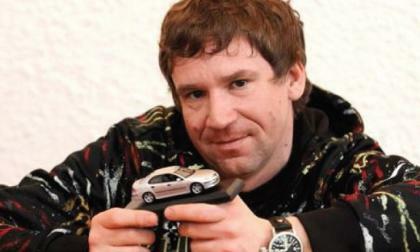 Those who live in the Big Apple have a unique opportunity to see Saab’s concept car, the PhoeniX, and meet the designer, Jason Castriota, himself, tomorrow from 11 a.m. to 1 p.m. at Chelsea Piers 23rd St. and Hudson River in New York. Castriota is a native son of the Empire State. 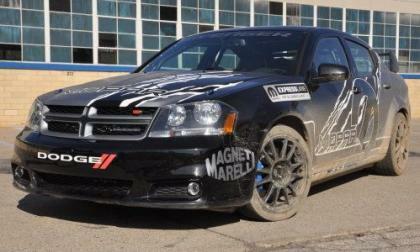 Earlier today, we brought you the news of the 2012 Dodge Avenger R/T making its grand debut at the 2011 New York International Auto Show and to help draw attention to the often-forgotten mid-sized sedan Mopar and Magneti Marelli brought out the heavily modified Dodge Avenger Rally Car. This is the name given to the Minagi Concept car, first introduced at the Geneva Auto Show in March, as it moves into production: the Mazda CX-5. The new compact crossover combines Mazda’s KODO design approach with their new lower- emissions SKYACTIV technology and will make its North American debut at the New York International Auto Show (NYIAS) this week. 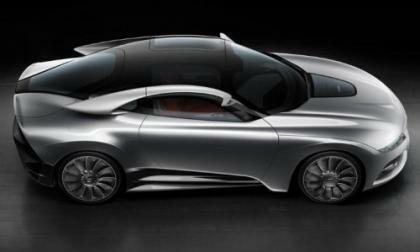 BMW’s marvelous new zero-emissions ActiveE will make its North American debut at the New York International Auto Show (NYIAS) this week. 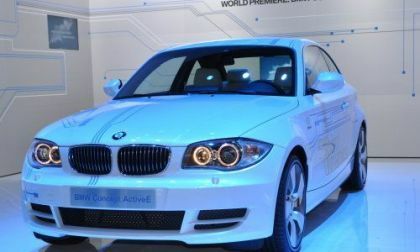 Based on the 1 series coupe, the electric Bavarian automobile will be available for lease later this year in select U.S. cities, for a monthly payment of $499, after a down payment of $2250. 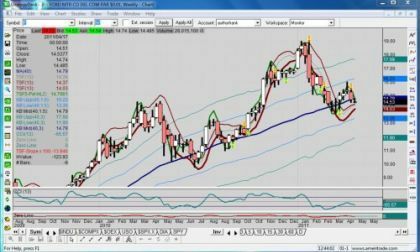 After GM stock completed its 22nd week of trading by breaking 30, and with Toyota, Honda and others trading below their 40-day moving averages, perhaps it’s time to look again at Ford stock. 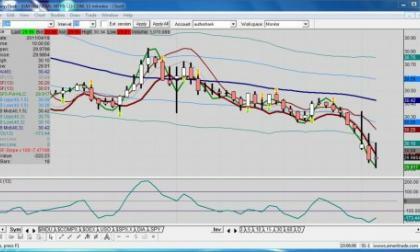 It may be best of breed based on its stock chart technicals as much as its product technolgies. 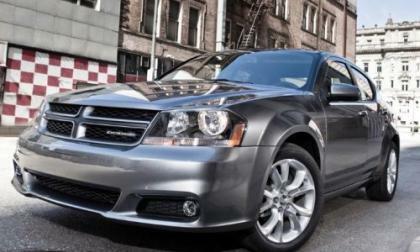 The 2011 New York International Auto Show opened today to the media and the folks at Dodge used the Big Apple show to unveil the performance variant of their mid-sized sedan – the 2012 Avenger R/T. 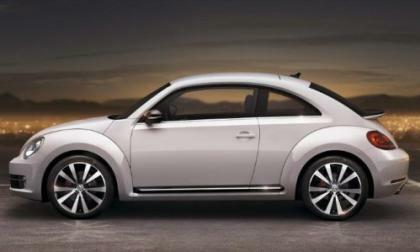 The 2012 Volkswagen Beetle will make its formal debut at the Shanghai Auto Show and the US debut at the New York Auto Show but today, Volkswagen Auto Group rolled out a spread of images, video and information on the newest VW “bug”. Forty-seven years ago today, Americans all over the country who reached for their morning paper were introduced to the brand new Ford Mustang after its public debut at the 1964 New York World’s Fair on April 17th. After completing its 22nd week of trading since its IPO, GM stock has not only broken all levels of IPO price support, but has tested the psychologically significant 30 price level with its lowest weekly close on Friday. As of Monday morning, pre-market pressure was followed by a lower open and a plow through the 30 level. 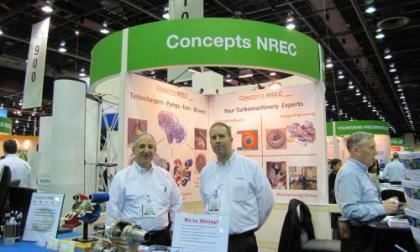 In a private interview with TorqueNews.com at SAE 2011 World Congress in Detroit, Sal Scuderi, President of the Scuderi Group, answered a pointed question about the potential of ever achieving 50-plus mpg using the split-cycle, hybrid engine with a turbo charger. 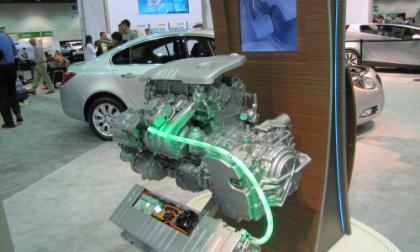 General Motors (NYSE:GM, TSX: GMM) may be one of the world’s largest automakers, with roots back to 1908, but its ranking among clean-energy patents demonstrates GM’s commitment to sustainable transportation and clean energy. Today's developments around SAAB further affirm the thought that the Swedish auto-pride will one day become the property of Russian financing. 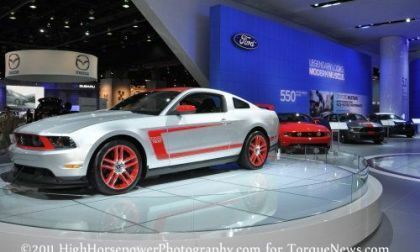 When "more" is not enough, then "even more" will have to do, and the 2012 Roush Stage 3 Mustang has just that. 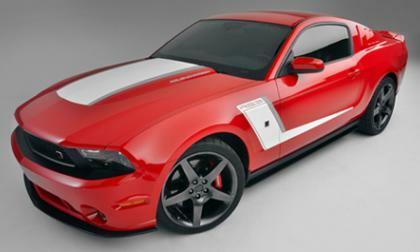 Roush Performance announced that the 2012 Stage 3 Mustang, equipped with the R2300 RoushCharger supercharger will produce 540 hp and 465 lb-ft of torque. 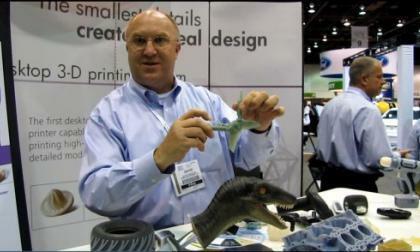 Objet Geometries, the maker of a line of 3D printers, showed off its rapid prototyping capabilities with its technology display at SAE 2011 World Congress, including a trend-setting new material that is clear enough for light pipes and lenses. Chevrolet has just introduced the first Z-Spec accessories for the new 2012 Sonic, a youth-oriented, high-mileage small car scheduled to hit the streets this fall. 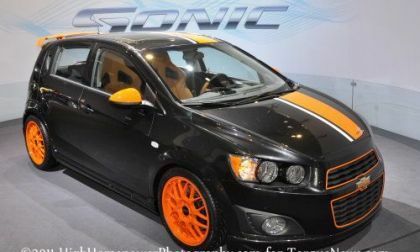 The Sonic Z-Spec portfolio – on display starting next week at the New York International Auto Show – includes accent packages with contrasting-color exterior elements and graphics expressing the car's fun-loving character. 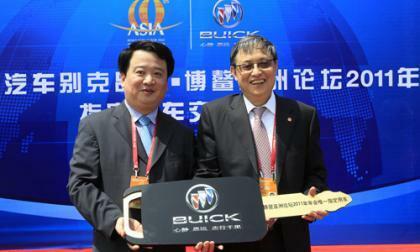 A China-based auto news reporter today leaked more renderings of the upcoming Buick Envision SUV ahead of the 2011 Shanghai Auto Show debut, giving a better glance of what the new SUV will look like. 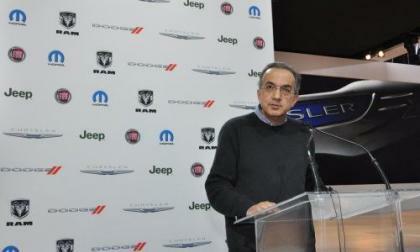 Chrysler and Fiat Sergio Marchionne has stated since shortly after the merger of the two companies that he wanted for Fiat to own 51% of the Chrysler Group by the end of 2011 and while there has been some speculation as to when that number will be reached, Fiat could own 46% of Chrysler as soon as June. The third race in the SCCA World Championship season, placing the world’s top manufacturers in head-to-head street competition, will convene on the historic streets of Long Beach this Sunday. 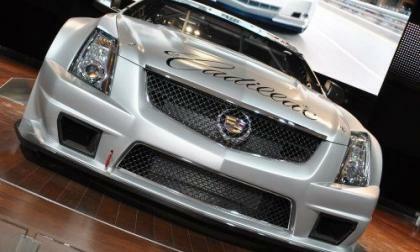 Cadillac returned to racing in March during the Streets of St. Petersburg competition. 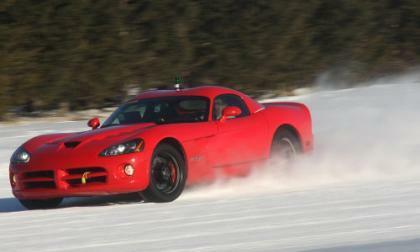 When I had a chance to sit down with Dodge CEO Ralph Gilles at the 2010 LA Auto Show, he explained that the Viper would return in the spring or summer of 2012 as a 2013 model year vehicle and today, Chrysler issued a diminutive press release making that information official. 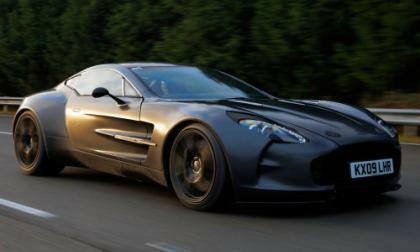 Aston Martin does not say how many cars it intends to sell in India, but the luxury car maker today announced its entry to India and said it plans to sell its most expensive car one-77 among three other models. 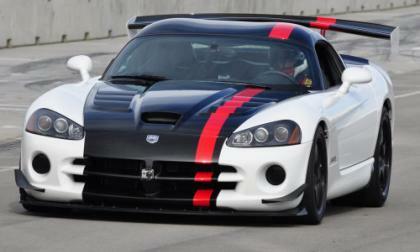 The Dodge Viper has been out of production for almost a year now but the American supercar continues setting records around the world, with the latest claim coming at Miller Motorsports Park in Utah. 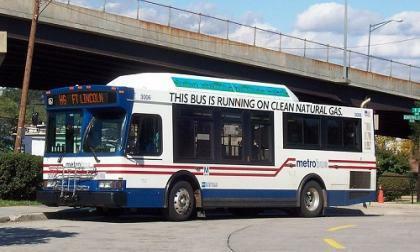 Considering infrastructure development an essential part of making electric vehicles a viable option, Ford is cooperating with major cities and utility partners to identify key infrastructure elements that will create enriched metropolitan habitats enabling the widespread use of this new type of car. 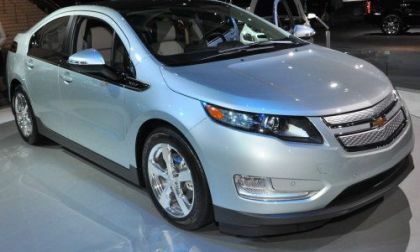 It was announced during the SAE World Congress, which ended today, that the Chevrolet Volt was named Best Engineered Vehicle of 2011 by the readers and editors of American Engineering International magazine, the official publication of the SAE. T. Boone Pickens touts natural gas vehicles in Washington, D.C.
Energy pundit T. Boone Pickens was on hand yesterday as NGVAmerica “took Capital Hill,” with a display of over a dozen natural gas vehicles, ranging from passenger cars to a semi-trailer truck, all powered by the nationally plentiful fuel. Pickens was flanked by members of Congress who agree with his assessment. 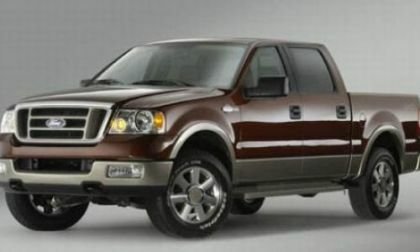 Read more about T. Boone Pickens touts natural gas vehicles in Washington, D.C.
Ford Motor Company and the National Highway Traffic Safety Administration (NHTSA) have announced that the Ford F150 airbag recall announced in late February has been expanded from the initial 144,000 units to almost 1.2 million after pressure from the US government. 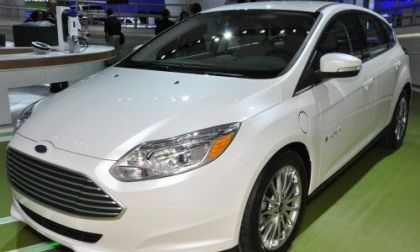 Along with all the technology displays, the very existence of the SAE World Congress at Detroit’s Cobo Center has proven once again its importance to the auto industry. 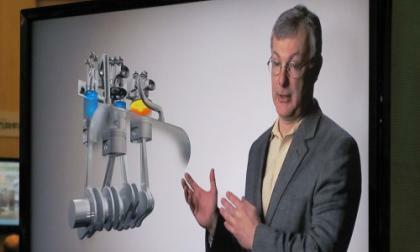 The on-floor video report also includes a look at using a human-computer interface to input real movements of automotive assembly into the virtual world for study and process efficiency.